At Apollonia House Dental, we don’t believe in selling you anything that you don’t need. We are here to help you achieve the smile that you want. You’ll receive our honest opinions and advice before you decide which treatment you desire. If you have certain outcomes that you are looking for, we’ll be happy to detail your options within cosmetic dentistry. The word “fake” is used often in today’s world. Nobody wants an appearance that doesn’t look right for them. Dentist Dr Rob Sivertsen believes in creating smiles that look natural. You won’t have to worry about a look that doesn’t feel like you. We’ll consider your age, too, so that you have a smile that is appropriate for who you are. In today’s world, we’re exposed to photos in magazines and billboards that show people with impossibly white smiles. They look false for a reason—they’ve been Photoshopped! Many people want to have the smiles that they see their favourite celebrity showing off. In reality, our teeth weren’t meant to be blindingly white. There’s nothing wrong with your smile for being a natural shade. Dr Sivertsen will show you a shade guide so that you can locate where your teeth are on a scale of acceptable whiteness. Then, you can decide if you want to move forward with bleaching your teeth. Any discolouration you have may be due to stains that can be cleaned off. Fillings may become less white, which are easily replaceable. Decay can darken a tooth. In this case, we will remove the decay and place a tooth-coloured filling. 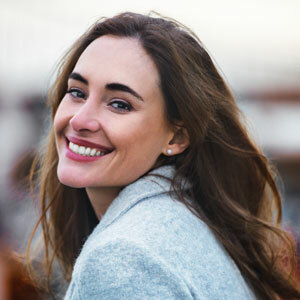 Two other popular options for cosmetic dentistry Toowoomba include veneers and crowns. Veneers can be created from composite or porcelain materials depending on your budget and the results you want. The first step is to contact Apollonia House Dental today to schedule a consultation. Once you meet with Dr Sivertsen, he can give you the full range of treatment options you have. We’ll discuss your outcomes and the time frame you’d like to work within. Your treatment will be scheduled according to what works for you and your budget.